We obtain our life necessities from nature. From air, water, and food we can extract the oxygen, hydrogen, and nutrition we need to function. But now, along with necessities, we also get a heavy dose of pollutions. Pollutions in the environment has decreased the oxygen level from 32% to 21%; and reduced the nutrition amount in food and water by replacing it with toxins. What do these facts mean? It means that now, our bodies must struggle hard to function on lower oxygen levels and nutrition while more and more acidified toxins are absorbed, making us ill and unhealthy. Therefore we need to take actions to improve our health. How? By increasing our bodily oxygen level, neutralizing internal body pH to slightly alkaline, disposing the toxins in our body, and replenishing the nutrition we lack to help to maintain our body health. 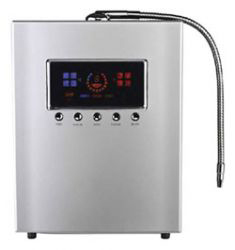 Cellfood and Alkaline Water Ionizer are the first products we have selected. Other products will be listed here soon. 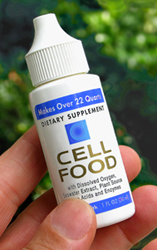 Cellfood formula contains 34 minerals, 78 enzymes, and 17 amino acids. Cellfood utilizes a proprietary water-splitting technology that provides a powerful stream of bio-available oxygen plus 129 nutrients directly to the cells. Cellfood frees radical scavenger (powerful antioxidant). Cellfood helps detoxify the body and balance pH. 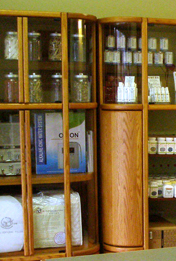 Cellfood is made from the finest all-natural, plant-based organic substances. Cellfood contains no alcohol, glucose, yeast, or gluten. Cellfood does not contain any ingredients that are on the “list of banned substances” for professional and amateur athletic competitions and associations. Cellfood is non-addictive, non-invasive, and completely non-toxic. Cellfood Essential Silica Formula provides silica supplementation to aid in supporting healthy bones, joints and cartilage, skin, nails, hair, teeth and gums for our bodies to remain flexible, resilient, and energetic. Cellfood Essential Silica Formula is made from the highest quality, all-natural substances. Cellfood Essential Silica Formula contains no alcohol, glucose, yeast, or gluten. Cellfood Essential Silica Formula does not contain any ingredients that are on the “list of banned substances” for professional and amateur athletic competitions and associations. Cellfood Essential Silica Formula is non-addictive, non-invasive, and completely non-toxic. Cellfood MultiVitamin Spray provides 100% of the 12 critical vitamins – plus Cellfood – in a laser enhanced oral spray. By providing vitamin nutrients in this biologically active form, we’ve been able to increase the absorption and assimilation into the bloodstream significantly. Instead of the less than 20% delivery to the bloodstream with pills or gel caps, an oral spray may effectively deliver 90 or more to the cells. Using alkaline water ionizer, regular tap water is essentially separated into two different parts at a molecular level. Positively and negatively charged electrodes are entered into the water and each corresponding element attracted to one or the other. The process results in two different types of water that make up conventional tap water. The acidic half of the water is said to be great for cleaning various surfaces and watering plants. The alkaline water is ideal for drinking and is said to have numerous health benefits after extended use. Reports of anti-aging effects, the curing or prevention of degenerative disease, more energy, better hydration, and other health benefits have all been associated with ionized water.